Rob joined K N Martin & Co Accountants in 1981 straight from school, where he trained for five years before moving into commerce as a financial controller. Over the next 22 years Rob worked for a variety of companies, including a market research agency, a conveyancing practice and a financial services company, before joining the management team on a golfing and leisure resort project in the Dordogne area of South West of France for three years. Following his return to the UK in 2003, Rob returned to Practise before forming Arque Consulting with Andrew in 2004. Rob is interested in most sports and as a season ticket holder, has an unhealthy interest in Arsenal Football Club, whilst also enjoys travel – particularly to his villa in Turkey. Andrew also joined KN Martin & Co in 1981, from school, where he trained for six years before moving into commerce as a financial controller with an employment agency. Andrew then went back into practice on his own account in 1992, before setting up Arque Consulting with Rob Clay in 2004. Andrew is interested in football and war-gaming with miniatures and also enjoys travelling and eating out. 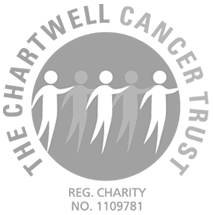 He is also heavily involved with The Chartwell Cancer Trust, which helps to fund the cancer unit at his local hospital. 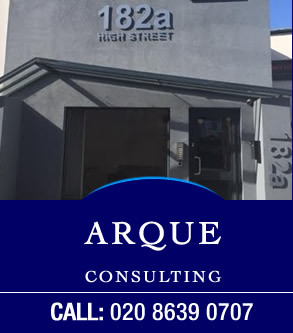 Martin joined Arque Consulting in June 2012 on an apprenticeship and has since become an integral part of the team; he has a level 2 certificate with AAT and is currently working towards the ACCA qualification with the help of the firm. Martin is enthusiastic, knowledgeable and always willing to advise clients. He specialises in creating bespoke spreadsheets to help clients manage their finances. Martin is an avid gamer and has had a season ticket at his favourite club, Crystal Palace, for 3 years. Long suffering partner of Andrew, whose main role is as office manager and credit controller. Elaine's first job was in a Practise in The Lizard, Cornwall, where she learnt the 'tools of the trade'. She has also worked for a property maintenance company and a tracing agent in her career. She is interested in travelling and interior design. Lesley joined Arque in 2002 and is the longest serving member of the team, having worked for The Bank of England and Next Retail. Lesley has extensive payroll knowledge, including RTI and more recently in the newer auto enrolment pension legislation, whilst also helping to develop and launch the new payslip system we have adopted - PayDashboard. Lesley enjoys travelling and spending time with her grand-children.